Saudi Arabia’s billionaire Prince Alwaleed bin Talal speaks to reporters during a press conference in the Saudi capital, Riyadh, on July 1, 2015. What bailouts? As Buzzfeed’s Andrew Kaczynski has reported, Alwaleed purchased Trump’s 281-foot super-yacht, the Trump Princess, at a time when the Donald was deeply in debt. Trump also sold a majority stake in the Plaza Hotel, once the crown jewel in his real estate empire, to Alwaleed and a Singaporean company in 1995. In other words, the prince is probably in a position to be talking trash. This isn’t the first time the business magnate prince (who is a NewsCorp shareholder) has clashed with Trump. 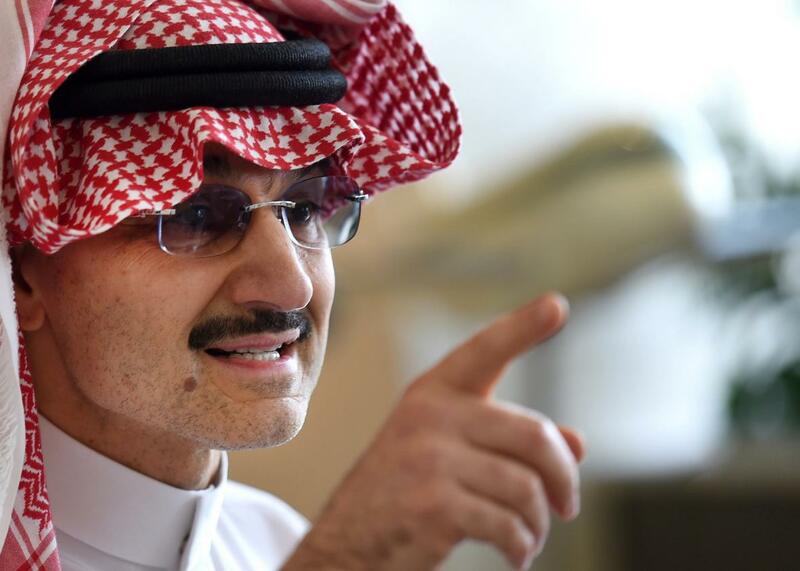 In December, he used Twitter (which he also just happens to partially own) to call Trump a “disgrace not only to the GOP but to all America” and urge him to drop out of the race following his call for a ban on Muslims entering the U.S. “Dopey Prince @Alwaleed_Talal wants to control our U.S. politicians with daddy’s money. Can’t do it when I get elected,” Trump replied.